*Some companies must stop violating the rights of YouTube uploaders like me – Luchanik. 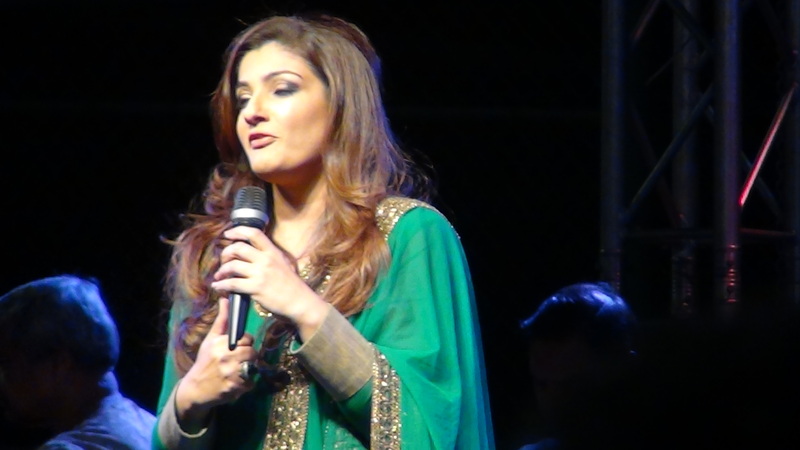 I uploaded a video that I recorded on August 15, 2015 on Indian Independence Day in Los Angeles showing Raveena Tandon and how she was made upset towards the end of the show. I noticed at least four different organizations that uploaded my video who did not give me any credit for the video. That is wrong – plain wrong, in fact it is unethical, and illegal, especially in this country – the USA. I filed a copyright claim against a certain company who are giants on YouTube and mostly show Bollywood material – of course Raveena Tandon is a Bollywood actress – a mega-star, so of course they might have wanted my material – they have 165,000 or so subscribers, while I only have 137 subscribers or so. Is it fair that they should be able to upload my video without giving me credit? No? Was it the right thing for me to do to notify YouTube? Yes, I think it was the right thing to do. Obviously, they did not like it as YouTube took the video down. A certain company counter-claimed, and said their upload came under “fair use” because they uploaded less than 20 seconds. I think the video was much more than 20 seconds that they uploaded. I was then given 10 days to go to court to protect my rights, however, why should I have to go to these efforts – YouTube should be able to protect my rights. Obviously, it was evident that I posted the video first – I uploaded it on August 16, 2015 and a certain company uploaded it on August 21st. I responded to YouTube, and said I would not take it to court, and that it is my content, but if they feel they wish to reinstate it – it is up to them. A certain company then filed another counter claim against me, saying that they made the video and not me! This is devastating, and absurd! Guess what silly thing they did that YouTube let them get away with and no wonder my video got taken down! Their video begins with _g, their full link is (now deleted the reference) and mine begins with =6, my full link is http://www.youtube.com/watch?v=63Quv0W2Scg see screenshots (now taken down the screenshots too) of both videos which are currently down. Well, they claimed their video was my video beginning with =6, how could it be? The link is unique to the uploader, and they can’t now claim to be me – luchanik! No wonder, YouTube took my video down, because they were basically saying it was their video. I think it is a bot or something that deals with these complaints so if someone claims on the Complaint Form that their video is a certain link, the bot is not intelligent enough to say “Hey, you can’t possibly have that link” – this is what should have happened, but didn’t, and they got away with it. So the next thing I knew was on Friday, September 18th, I got an early morning email from YouTube that my video had been taken down and that I had received a copyright strike! If you get three copyright strikes, you can lose your account. This is my first copyright strike, and if I had copied someone’s material, then I can understand that I deserved it, but I didn’t copy anyone’s material – this was mine. Talk about a rude awakening! How can this be? I made the video, I was there in Los Angeles – not a certain company! As you can see, these people are playing nasty! I don’t like injustice. I like to speak up when someone is unfair. Now, these people “a certain company”, (sorry, but I wanted to delete reference to their website and name again) – are giants on YouTube and I am a small person, so it is the giants against me. If they are the Rightster, am I the Wrongster, I ask you? It’s like a song….I next want to say – Who Is The Monster? That’s just me rhyming! But really, wouldn’t it make a great song? Also, read this link to see just how hard some people have it with Copyright Notices on YouTube. The system needs to improve – a lot. If we upload to YouTube, make it fair for us, not unfair! Some of these people who file copyright claims will repeatedly do it to irritate the complainant, and I sincerely hope this doesn’t happen. I don’t want to spend all my time and energy on this – I have so much else that i can do with my life! I sent YouTube a different video that is private and just for them to see with the footage from my camcorder on the day when I got the horrible email. I also had to go to Copyright School in order to get some access back to my account, and I had no problem answering all 4 questions because I answered them honestly – the questions were something like “Do you know it’s wrong to steal someone else’s content?” Well, how did the other guys answer the questions? Obviously dishonestly! They must have lied because they obviously copied my content and lied again about the link which caused YouTube to take down my video. I am indignant that I had to go to Copyright School – this whole thing is absurd. Someone, please help me! Or YouTube, please just reinstate my video. If you ever see that it is down again after/if it comes up, remember that these so called “Rightster’s” will probably try to irritate me again. I already am expecting it, and ready to fight them again. I really hope that YouTube puts my video back up, because this isn’t fair! These big giant companies can’t go around playing unfair games with small people like me, thinking they can get away with it. I also hope that the copyright strike goes away, and what about an apology from YouTube and one from a certain company? I’ve a feeling that’s not going to happen. I guess this is what happens when you make a video that kind of goes viral! You pay the price – not nice! Update as of September 22nd, 2015 – my video was reinstated! Yeah!!!! So, it should have been, after all it was all mine – 100%. This situation has been resolved amicably, but I wish I didn’t have to write this post and make a video showing proof, which I have subsequently taken down now – there was no point in leaving that up anymore. Is there a point in leaving this post up? For right now, I think it’s educational more than anything else or at least hopefully. In hindsight right after writing this update, I decided to take out all reference of the name of the company that caused me a lot of problems. * I changed all reference to the company previously named since I don’t want to remain bitter about this any more. The Indian Independence Day anniversary this year on August 15th, was the 69th one since India got it’s independence from the British. I had a day off from work on Friday, 14th August, and already showed you Day 1, which we spent mostly in Artesia – LA’s Little India. I love visiting Artesia. 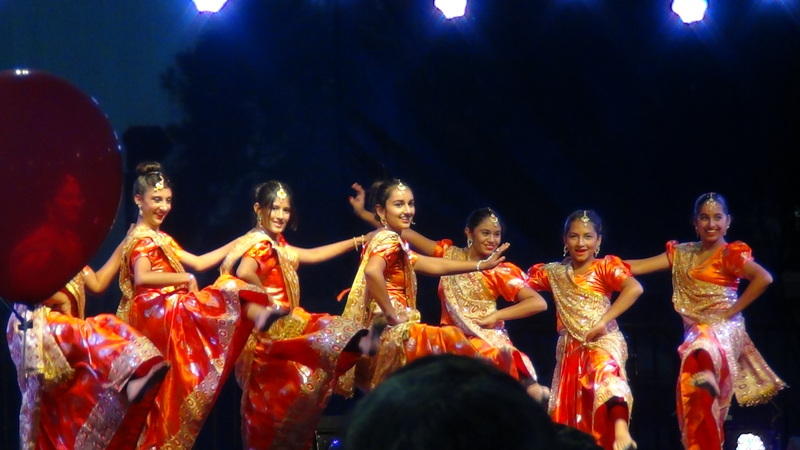 Here at home in San Diego, we also have a Little India in the Black Mountain Road area of Mira Mesa, but I do enjoy going to Artesia from time to time. 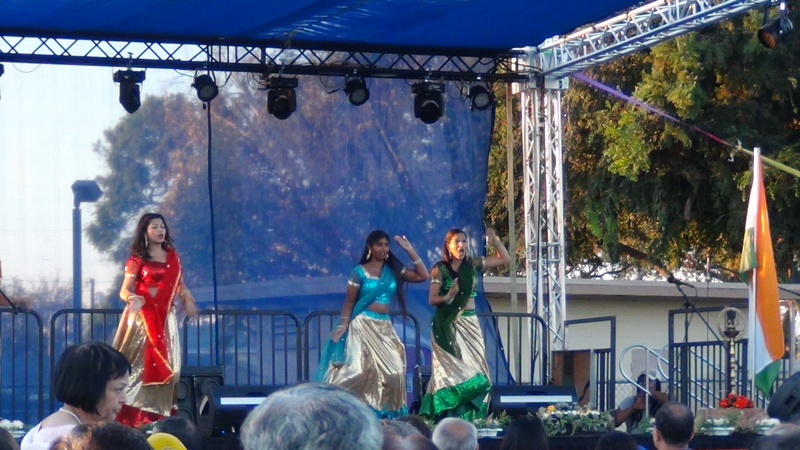 Day 2 of our little mini-vacation started off at Knotts Soak City, which I already showed you in another post, and now I will show you more pictures of the actual Indian Independence Day Celebration in Artesia (part of Los Angeles). 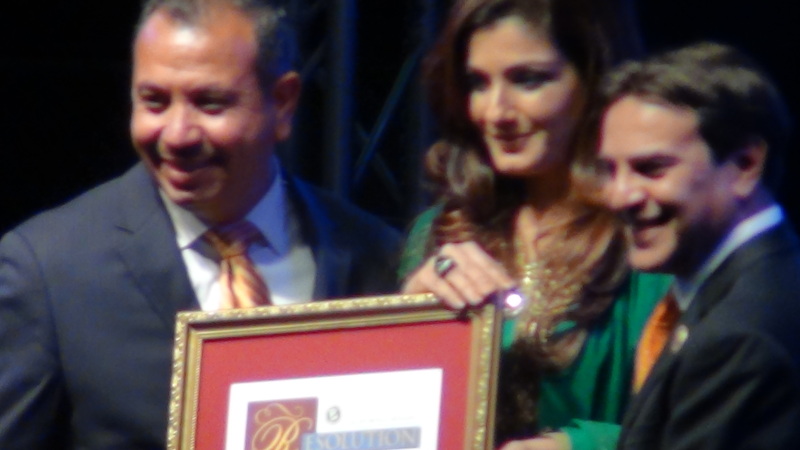 These pictures were taken towards the end of the evening, and show Bollywood star Raveena Tandon on the stage. 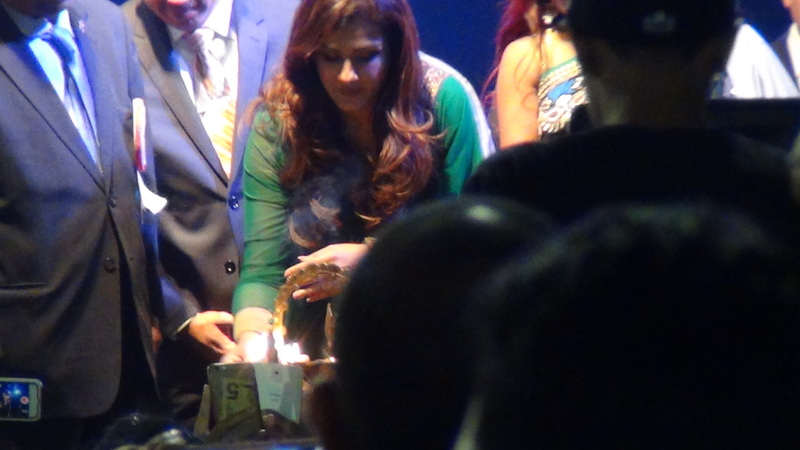 The first picture shows when she was lighting a lamp as part of the day’s celebrations. This picture just shows Raveena looking very elegant, and beautiful on this great day. My daughter Niki and I got to the event at around 5:45 pm, and we thought we were late. We were relieved when we found out that it hadn’t started yet, so we walked around. Here is Niki enjoying having the day off from dancing and being able to watch her friends peform instead. We walked around and looked at all the wonderful food, I really should have taken more pictures of the other food stations – there were so many. This picture shows Pani Puri. 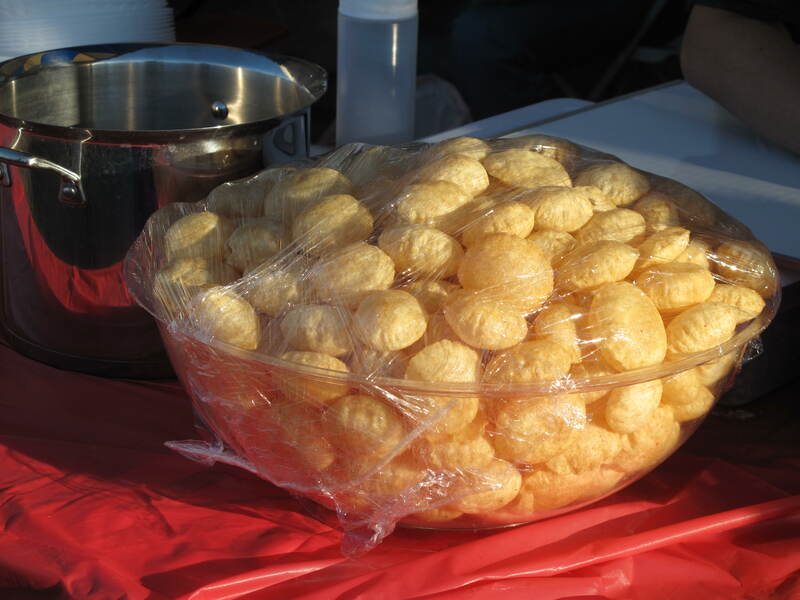 I remember we used to have these back in England, and called them Gol Gappa, not sure if I am spelling that properly. They would puff up a lot sometimes while they were fried, and when they came out of the fryer, we would delight in poking a hole in them, and would pour tamarind sauce in to the hole in the center, and oh my gosh, that was one of the tastiest treats ever! They don’t make them here, like my Grandma made them back in England. We used to eat them right after she fried them, and they were so yummy! I think Pani Puri are just the same as Gol Gappa, but I do have to question it as they don’t taste as good as my Grandma’s Gol Gappa! I think Gol Gappa might be the Punjabi word for Pani Puri. 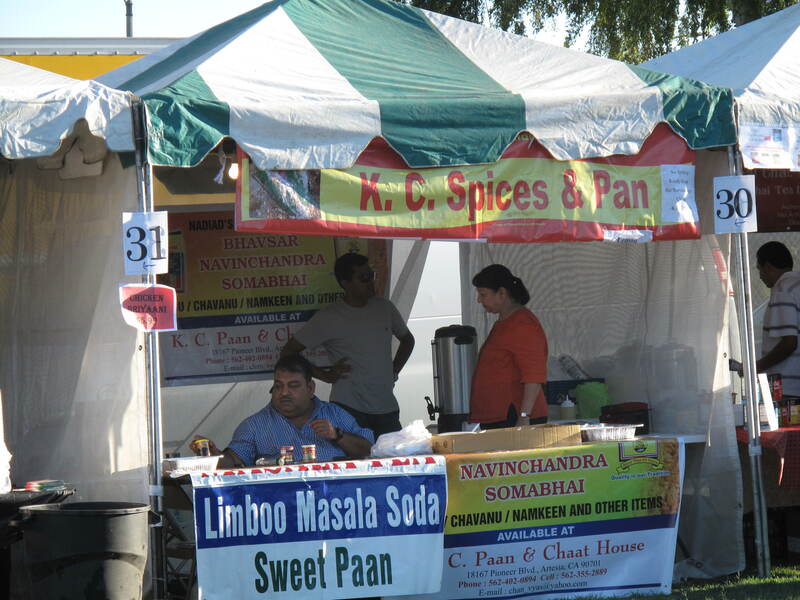 I had a sample of some great chai! 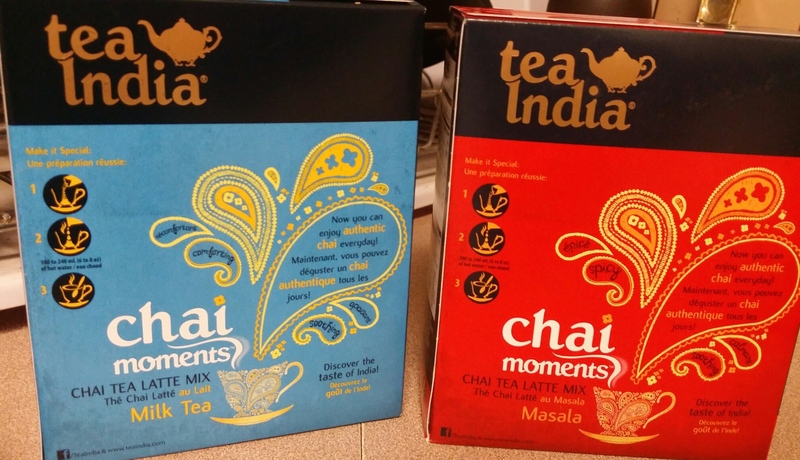 Oh, how I love chai! This one was just the way I like it – piping hot and made with chai masala. I ended up buying some mixes as when I am home, I just make tea the English way by brewing it in a cup, and can’t be bothered going the extra step and making Indian tea (chai) properly. However, when I go out to Indian restaurants, I love to drink chai – I want my proper Indian tea then! After we wandered around for a bit, it was time to see some performances. It started off with this little boy dancing. Oh, he was so cute. You can see him and the others who performed in the video, directly below his picture (excuse the hand that got in the way). 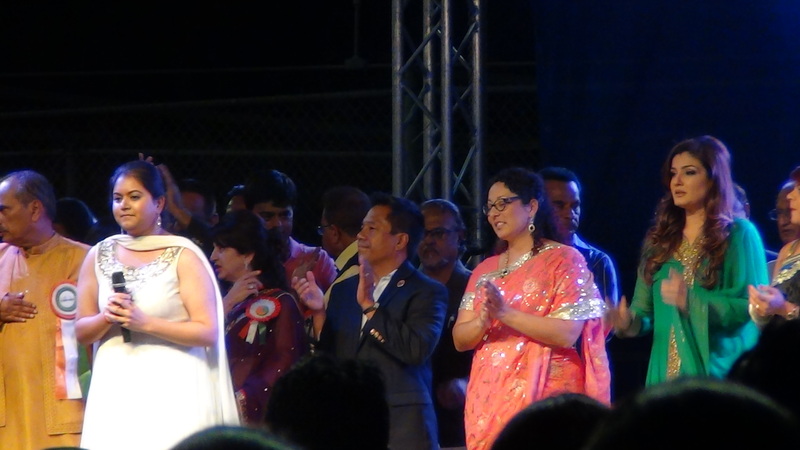 Please do watch my video of the Performances, this was the main event of the celebration, and of course, the star of the event was Raveena Tandon. Did you know there was a Congressman in attendance? Yes, there was. 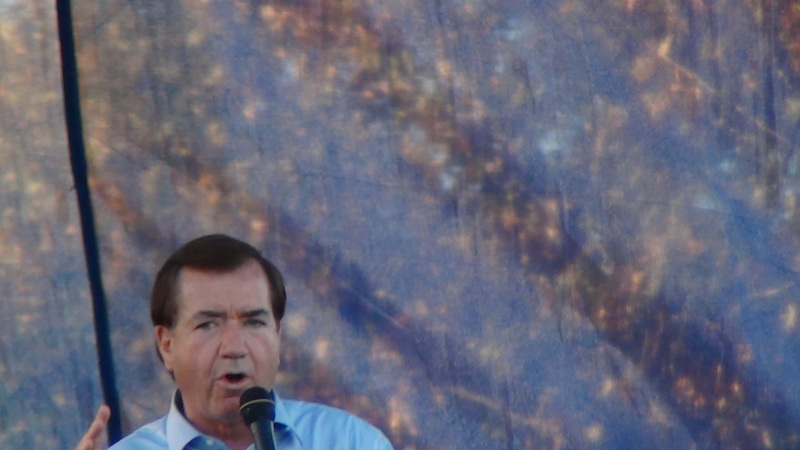 Congressman Ed Royce (R) serves the 39th Congressional District in Orange County and eastern Los Angeles. I made a video of him too, but did not add it to the Performances video! 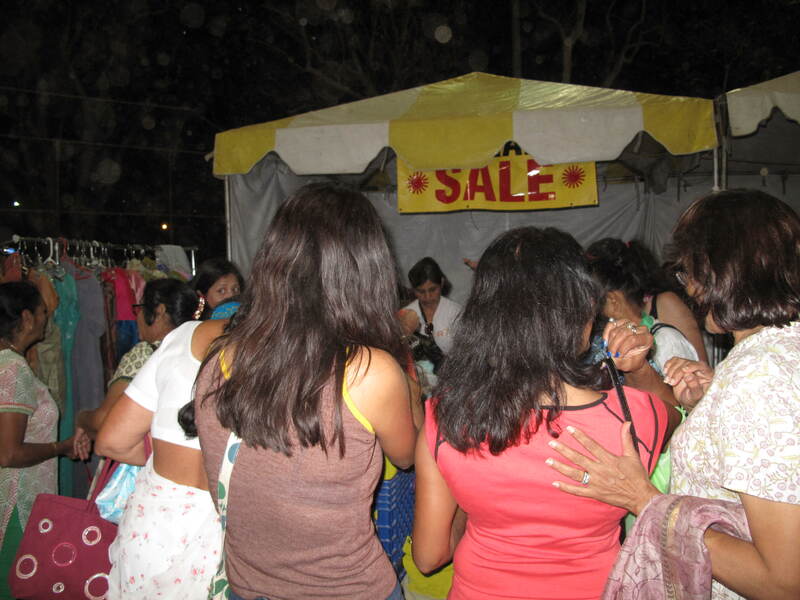 Then, guess what another great thing happened at this event, they had a great sale and all clothes were only $1 each. Yes, you read it right – just $1 each. I bought seven items and it was so worth it. I made a movie starring Raveena Tandon. 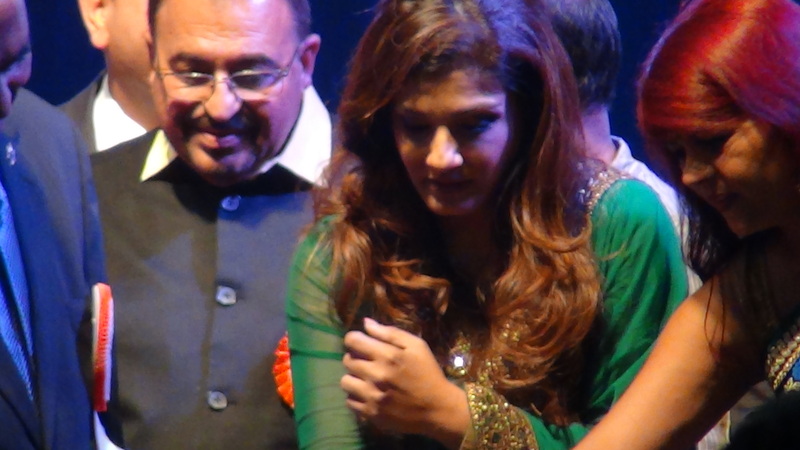 Raveena wasn’t acting that day, this was real life – I captured the moments when Raveena Tandon was made upset in Los Angeles on Indian Independence Day. The video kind of went viral. It has over 185,000 views now. Also, just wanted to add that I am not a movie maker, I am just someone who likes recording memories – photography and videos. Also, I made very few edits to the movie. I certainly didn’t take anything out intentionally, why would I have done that? All I took out was a few seconds of when the camera was out of focus (example up in the air instead of focused on people). I do want to say that Raveena looks just as lovely when she is upset. What would we all give to look like that when we are upset? On a more serious note, I want to add that guests need to be treated like royalty. Have you seen it yet? In case, you haven’t seen it, you really should take a look. 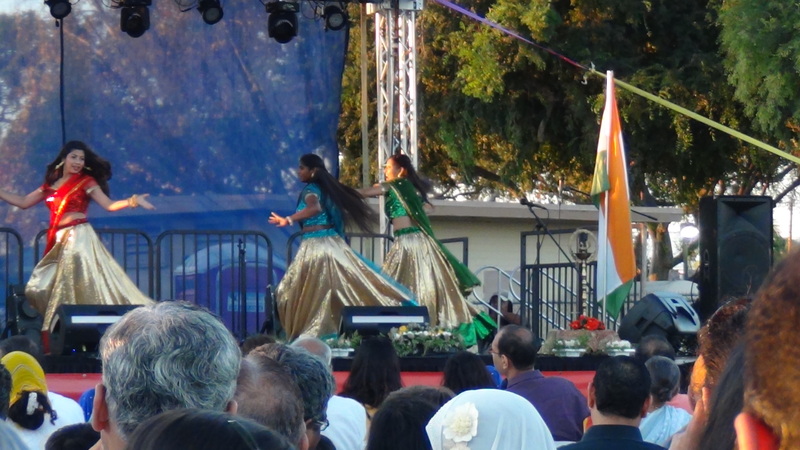 I’m just recovering from a crazy week after Indian Independence Day in Artesia, CA (in the Los Angeles area). I loved the craziness actually, and why not? After all, it’s not every day that my videos get over 100,000 views in a matter of days. Well, this time it happened, but it was quite unexpected. Currently, my video has 178,895 views. I shared my video a few days ago (the one that got all the action, and attention), so I won’t share it again here. However, I would like to share my other videos, and hope you will watch them. 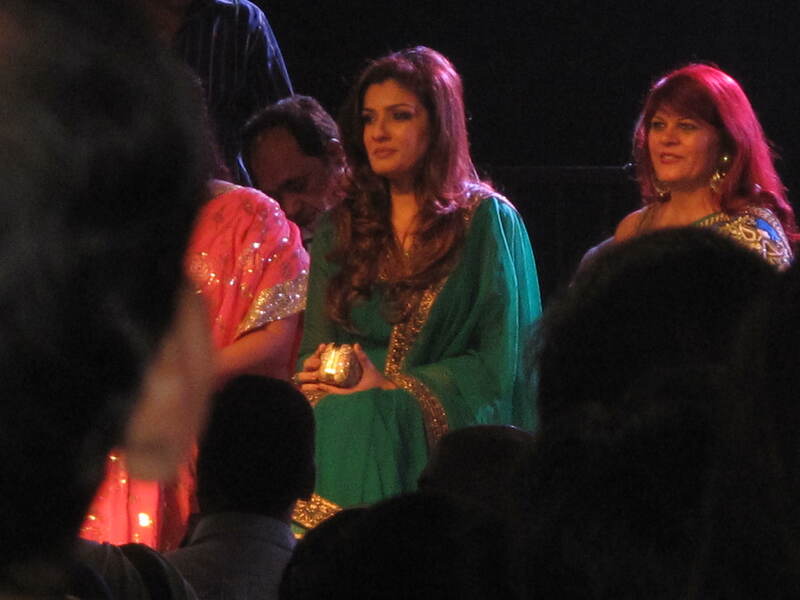 First, let me share another picture of the beautiful Raveena Tandon. I hope she comes back soon to Los Angeles or San Diego, and I hope she gets the star treatment that she deserves. Most importantly, I take and make videos because I enjoy it. I take pictures because I enjoy it. I post because I enjoy it, I tweet and pin pictures because I enjoy them, and I attend cultural events because I enjoy them. It’s all in the enjoyment, and it’s all just a hobby. In the next post, I will share more pictures of the actual event. I Reema Pandit , Manager of Ms Tandon am shocked to read your open letter with all the allegations against Ms Tandon and hence am compelled to write this letter so that the facts can be bought in front of everyone. I reached Cerrittos on 13th August, a day before Ms Tandon arrived to ensure co ordination. On 14th August Ms. Tandon’s flight landed at 3PM. She had landed with a bad throat infection.I was accompanied by Pat Patnaik and UFICA President Alka Patel to receive Ms Tandon. However, unaware that Etihad has a different getaway point for arrivals, we were waiting in the area dedicated for all other airlines and because of which we missed to receive Ms. Tandon. She finally had to leave by the Airport car to reach her friend’s house. Normally a celebrity should be upset that there was no one to welcome her and yet she was courteous enough to invite Pat, Alka and me to her friend’s place. We then reached there and spent close to an hour with Ms. Tandon over tea and snacks. As Ms tandon was unwell she requested Pat and Alka if she could come for half an hour, fulfil her commitments and leave. Looking at her health Pat was considerate and mentioned to Ms. Tandon that she can come only for half hour for the dinner and leave. Pat mentioned to Ms. Tandon that there would be two ladies in the Limo to pick her up that day for the event and the next day there would be two kids in the Limo. As a rule we do not entertain anyone in the car with us yet Ms. Tandon obliged and agreed. The Hair and Makeup artist was organised by Alka Patel and was called at 6 PM and the Stylist was organised by Mr Barring and was supposed to come by 7 PM whereas she came by 7.30 pm,post which there were some alterations which took time,although the measurements were already shared. Thus the delay already started happening but NOT on our account. We had left from Raveena’s friend’s house to get ready around 5:15PM and reached the hotel by 6:10PM. I was told to get ready and I will be picked by Alka by 6:30PM. I was down at 6:25PM waiting for the Limo which Limo arrived only by 7 and thereafter we reached to Ms Tandon by 7:50PM. This led to us gettingto the event by 8.40PM. So the Allegation made by UFICA that we arrived late is baseless as it can be checked with the Limo service company as to what time did the car reach Ms Tandon.With that it shall be proved that the limo was delayed by the organizers themselves. 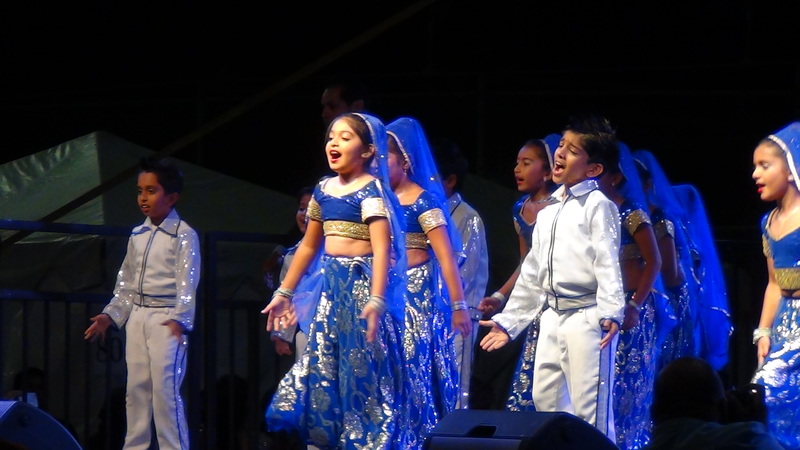 The Allegation that Ms. Tandon did not watch the kids performance is also baseless as we were aware of the cultural programme happening on 15th August and NOT on 14th August. As she was about to leave a lady told me there was a cultural program and if Ms. Tandon could wait but by then Ms. Tandon had walked out of the restaurant alongwith Pat and Alka. They didn’t mention any performance to her in spite of them waiting with her for the Limo. She was unaware that it was the kids who were performing. However she called all the kids present for group picture as she thought they had already performed on her accord and as a gesture for all the kids present. Mr. Vinod Vineet then comes and makes a sarcastic comment that “you just came and are leaving now, this is not done”. All this in spite of her being at the event for almost 45-50 minutes(which was specifically said by Pat and Alka looking at her health). 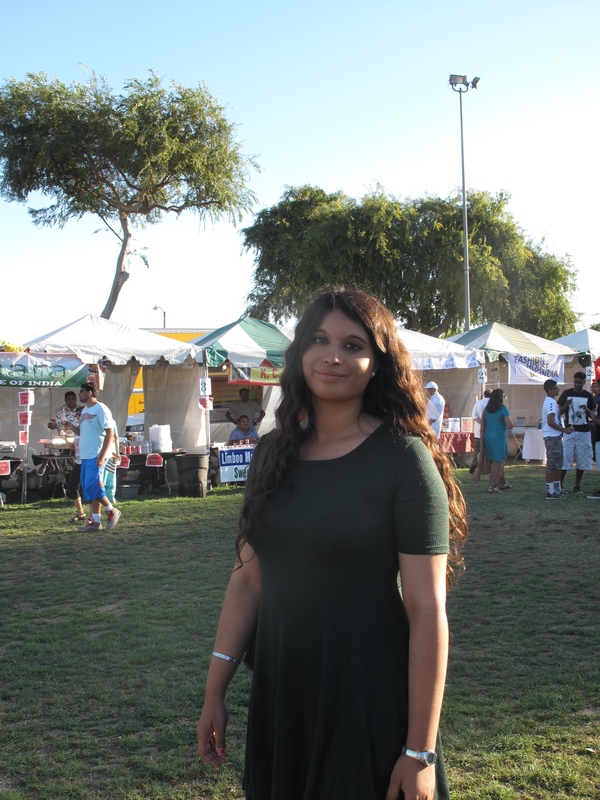 Raveena was very upset with the way she was spoken to and made it very clear that if she doesn’t get an apology she will not attend the event the next day.Luckily Mr. Barring’s car was close by and since the Limo was taking time we left in his car. Mr. Barring got calls from the organizers stating that Mr. Vineet is feeling bad and would like to apologize following which all was sorted. On 15th August Alka Patel and her husband were courteous enough and took Ms. Tandon and me to the mall and we also had lunch together. Raveena’s health had further deteriorated and knowing she would like to rest, I mentioned to Alka to not send anyone in the Limo that day stating that she gets claustrophobic(I meant that she had a bad cough and was getting breathless). I also reminded her that normally as a protocol we don’t permit anyone to travel with us. In spite of this the Limo comes to pick me up at 6.30PM and I see that that there are 3 teenagers(2 girls and 1 boy) in the car. At this point I call Mr. Barring and give him an option that I can take the kids to meet Ms. Tandon and they can come back in another car while coming to the event. We waited till 7PM but no car had come. Mr. Barring then told me to drop the girls and head to pick up Raveena. Alka Patel’s son Neel came with me as he was supposed to do the co ordination. So the allegation stating that Raveena asked the kids to get off the car is baseless as she was picked up only after the kids were dropped off by me. RAVEENA WAS NOT EVEN PRESENT IN THE CAR WHEN THIS HAPPENED. The show shut down at 10PM which is apparently a rule in Artesia where the parade was held. We were not aware of the same. So I stepped down to ask TJ about the car when I saw people having discussions about how they were upset as she didn’t allow the kids in the Limo,whereas she wasn’t even aware of the same. As a manager it was my decision keeping the privacy,security and comfort of my celebrity in mind. TJ told me that the Limo was taking time so he went to take his car. 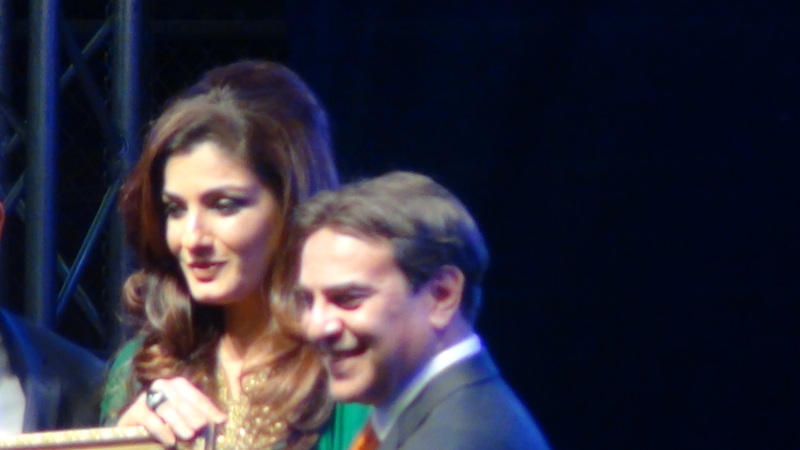 That is when Mr. Neeraj comes on stage and starts behaving rudely with Ms. Tandon. When Ms. Tandon threatens to tell the audience he snatched the mike from her hand. Later we got to know that the Limo was sent back and they wanted us to go on our own. I am attaching the you tube links below which show Ms Tandon enjoying the event and being her jovial self while interacting with the crowd . All this in spite of she being extremely unwell. It is Shocking that despite her ill health Ms Tandon completed her commitment and still got no appreciation by the organizers. Thanks to Mr. TJ Barring for ensuring we left the venue at the right time on both the days. We would also like to thank Mr. Pat Patnaik, Mrs.Alka Patel for ensuring everything went off smoothly on both the days. *Note: I, Davinder Kaur, did not write this letter or revise it in any way. I simply posted it upon request of Raveena Tandon. 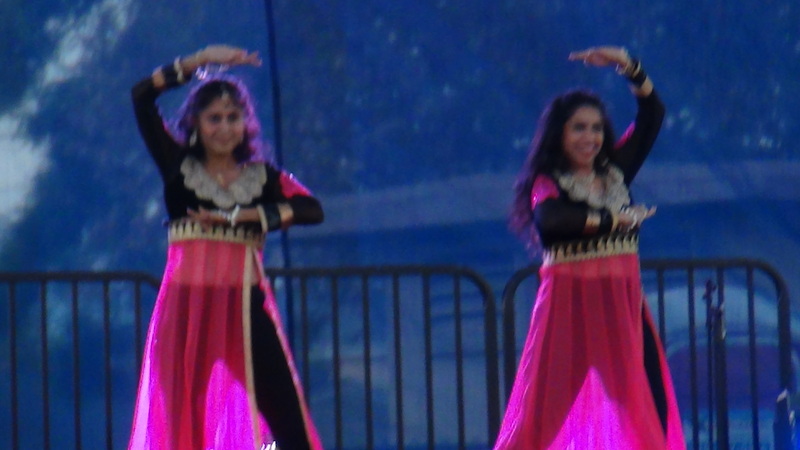 Indian Independence Day in Los Angeles, CA – What A Memorable Occasion! 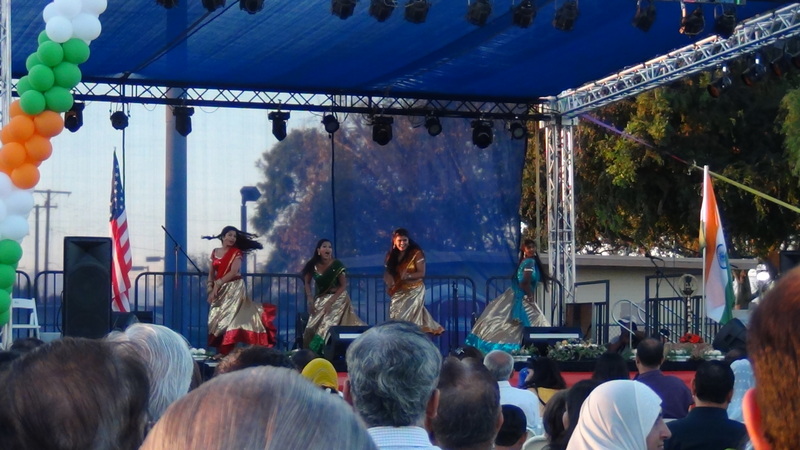 Indian Independence Day in Los Angeles, CA was a very memorable occasion. Why do I care about Indian Independence day? Of course I do! I am Indian, and even though I was born in England, I know my roots. August 15, is India’s Independence from the British. It might seem strange for some of you that I have an allegiance for India, and celebrated it’s independence from my other country. All I can say is I love England, and I love India, and now of course, I love the USA. I am very grateful though that the British gave India back. No country has the right to rule another. 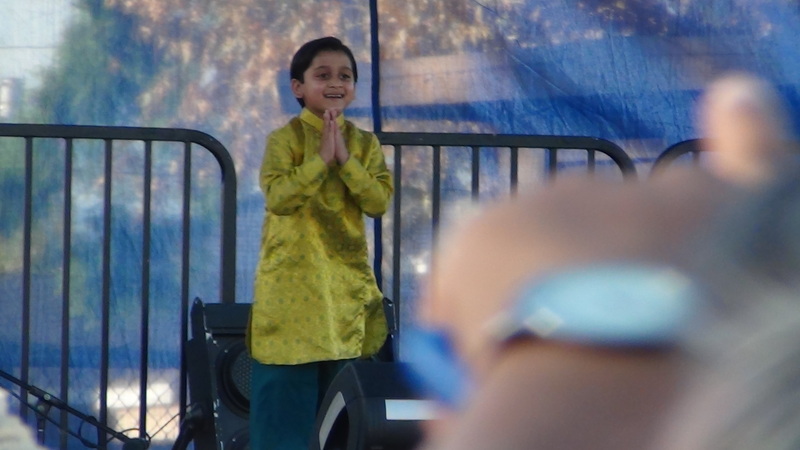 We went to LA and stayed overnight for two days to celebrate my son’s birthday at Knotts Soak City, and then went to visit Artesia (Little India), and get my share of Indian culture. Oh, how I love visiting that area, and having a buffet lunch somewhere, followed by another visit to a smaller place to have Indian sweets and a cup of chai. Well, imagine my delight when someone told me there would be a parade for Indian Independence Day the next day on Saturday – this was perfect, since we were in the area anyhow. I vowed to visit it, and furthermore, my daughter told me that her group was going to perform, and she wanted to see them. She took the day off from dancing this time, I think it was because I told her not to plan anything this weekend – since it was her brother’s birthday. 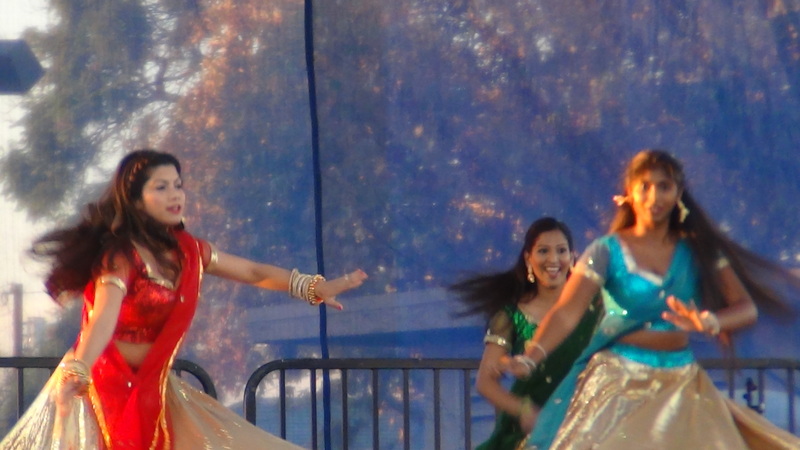 She knew Raveena Tandon was going to be there in Los Angeles, but she didn’t realize that she was going to be at the same event or that her friends were performing at the same event as where we wanted to celebrate Indian Independence Day. Little do we know! So, when she said “Mum, the event that you want to go to is the event where my friends are performing, and where Raveena Tandon will be!” I thought perfect. Even more of a reason to attend! 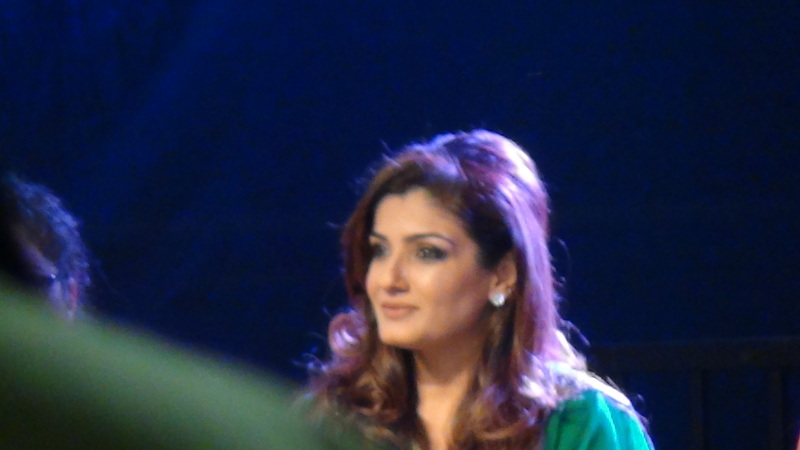 You may not know about Raveena Tandon, but she is a big mega-superstar, a Bollywood actress with many hit movies. She is an icon of Indian cinema. So we got to the event at around 5:45 pm. I’m pretty sure she told me that one of her friends was supposed to be performing at 4:30 pm, and her group was going to be doing their dance at 5:30 pm. She was kind of upset that we might have missed it already when we got there and saw that practically all the seats were empty. We didn’t realize that the event had not started yet, we thought it had just finished. When I asked someone if it was over, she told us that it had not started yet, and we were so relieved. We wandered around, had samples of delicious chai and saw all the food vendors, and clothes displayed for sale. What a fabulous event, I thought – even before it began. Later in the evening, I tried the food. You will not believe what happened next at this great event. Well, someone made her upset, and of course I captured it, and I didn’t even know what was happening, as I was busy looking through the lens, and knew that something was brewing. Anyway, long story short, Raveena has seen my tweets of the videos, and apparently is happy that I posted the videos as they show what happened. I just wanted to give you some context of what is about to appear in my next post as for the first time ever, there will not be a single picture in that post. Also, I will not be introducing the Indian Independence Day event, the significance of it, or anything of that matter. That is why this post is being published first. The organizers are called UFICA, and they responded to her tweets about their version of why the ending was not the way this great event should have ended. They publicized their letter on Twitter, and Raveena and her manager have asked me to publish their letter. That is coming up next.